In Pennsylvania, game wardens work for the Pennsylvania Game Commission and are known as wildlife conservation officers. The state is known for its forests along with nearly 690,000 acres of lakes and reservoirs, which provide a paradise for people who enjoy nature. Sportsmen seek recreation in these natural habitats, and Pennsylvania’s wildlife conservation officers enforce the state’s laws to ensure that hunters and anglers are not taking animals illegally. Poaching is a persistent problem in the state as in much of the country. Wildlife conservation officers in Pennsylvania have a plethora of roles in addition to law enforcement. They educate the public about safe hunting and fishing along with encouraging an appreciation of the state’s habitats and the need to conserve them. In addition, these officers collect data and track the migration of birds and animals. These game wardens have challenging jobs as they balance their law enforcement duties with environmental advocacy. Wildlife conservation officer positions are in high demand and appeal to residents who have a passion for conservation and justice. With a limited number of jobs available at any time, the competition for them is intense. Applicants who are knowledgeable about the requirements for these jobs and the hiring process will have an advantage during the selection process. The ideal candidate for a wildlife conservation officer job in Pennsylvania is one that both enjoys the forest wilderness and has expertise in law enforcement. In addition to their game warden duties, these officers may support other state, local and federal law enforcement departments as needed. This combination of duties calls for highly skilled applicants who blend knowledge of law enforcement practices with expertise in conservation management. Each applicant must be prepared to effectively demonstrate his or her suite of skills to be considered for a position as a Pennsylvania wildlife conservation officer. 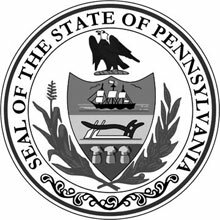 Additional information on the requirements to become a wildlife conservation officer can be found on the website of the Pennsylvania Game Commission along with job postings. License: A valid Pennsylvania-issued driver’s license is required. Individuals must maintain an acceptable driving record. Academic Credentials: High school diploma or GED is required; a bachelor’s degree in wildlife management, environmental sciences, conservation or law enforcement is advantageous. Vision: Vision corrected to 20/20 in each eye. Normal color vision with no other conditions is required for the role. Additional information may be required from those candidates who have undergone vision correction surgery. The salaries for Pennsylvania’s wildlife conservation officers increase in regular intervals in-line with a salary schedule based on the number of years they have invested with the Pennsylvania Game Commission.